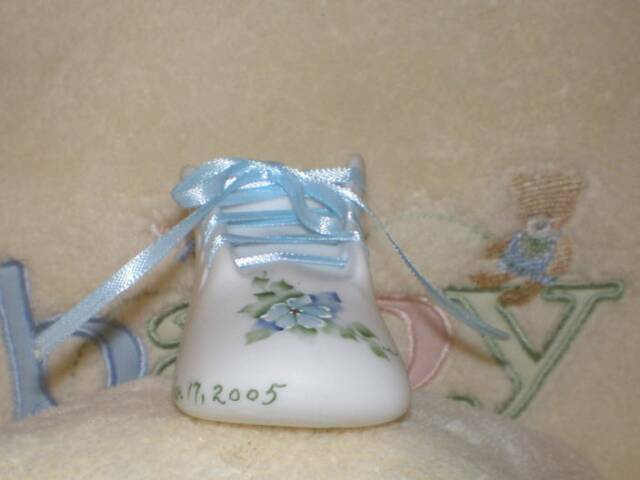 Blue Forget-Me-Nots: Click for a larger image. 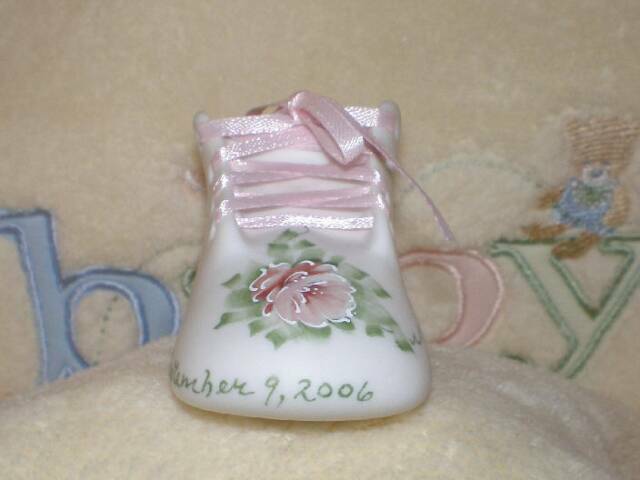 Pink Roses: Click for a larger image. 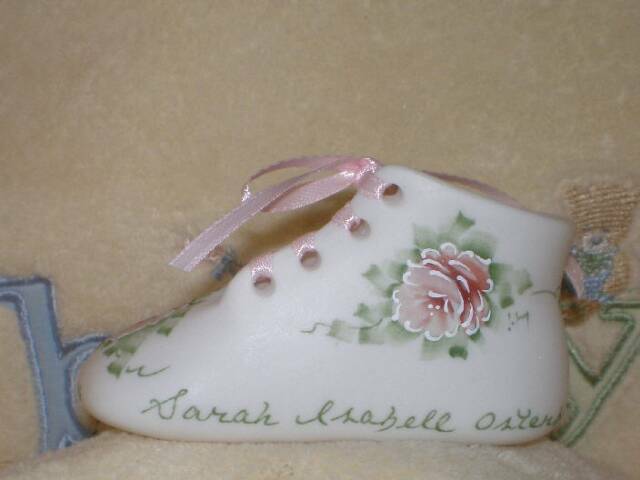 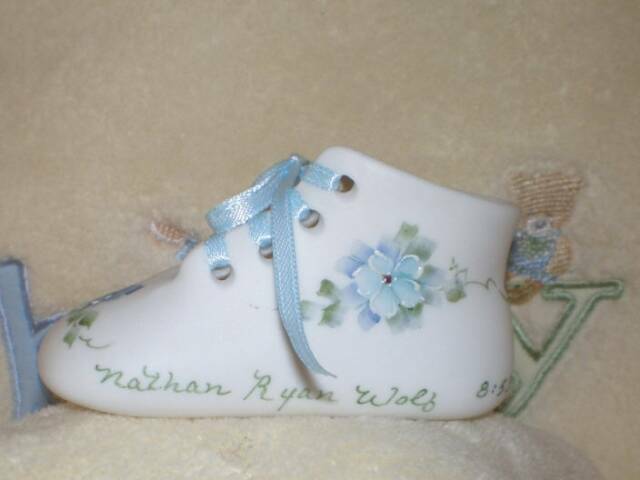 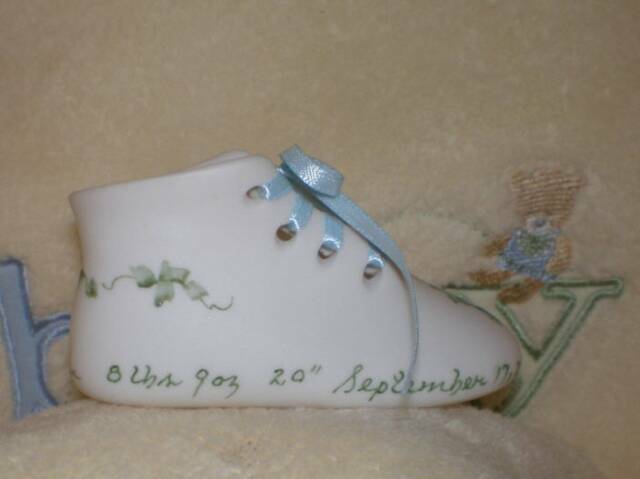 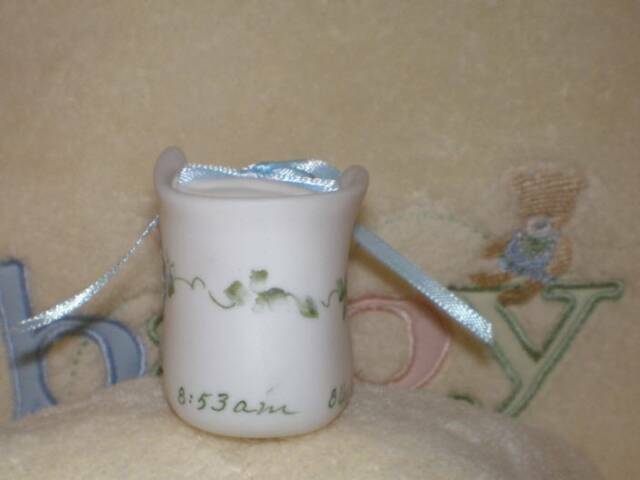 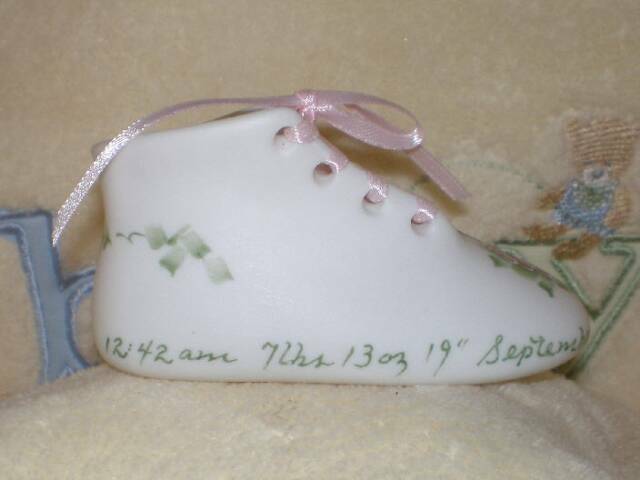 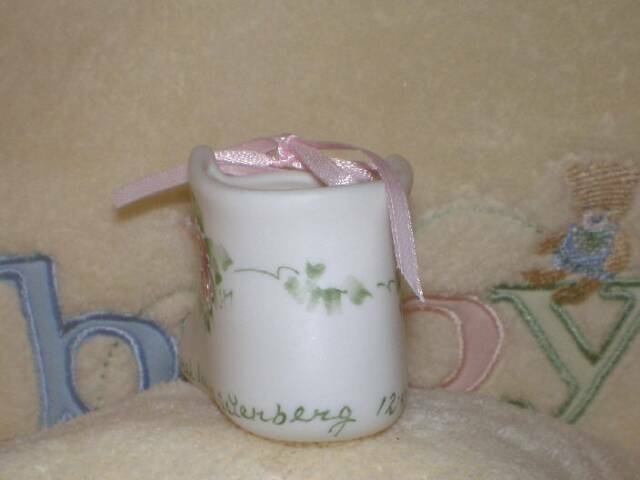 Optional inscriptions are placed on the bottom of the porcelain baby shoes.